Going, going, gone! For those who live on the fashion fast lane, these mini nail enamels provide unbeatable full colors and smooth application.Colors are one thing that brighten up your mood anytime, anywhere. Match the colors as per you dress, occasion, mood or style. Your mini nail enamels are now available in 16 new shades specially for the festive season making the range of Faces Canada splash nail enamel portfolio from 24 shades to now 40 super shades. About the Brand: Flaunting a proud 40-year-old Canadian heritage, Faces is a highly successful beauty brand which has an exclusive line of makeup, skin and personal care products. Believing in the power of nature to safeguard skin's natural beauty, Faces Canada recently developed Urban Balance, a product range that protects your skin from the effects of pollution. Explore the entire range of Nail Polish available on Nykaa. 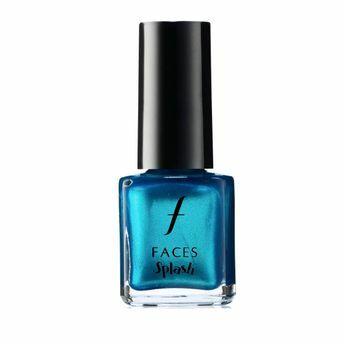 Shop more Faces products here.You can browse through the complete world of Faces Nail Polish .Alternatively, you can also find many more products from the Faces Splash Nail Enamel range.